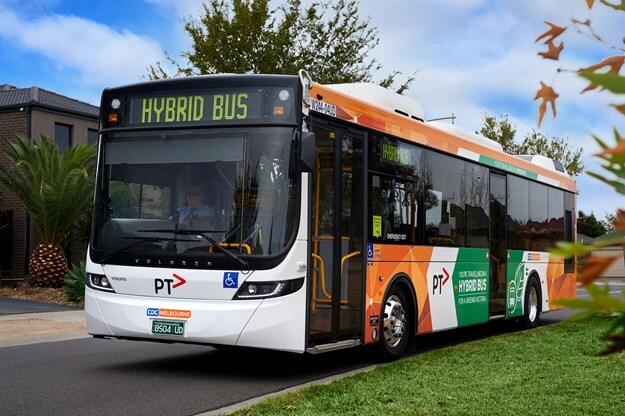 FOLLOWING THE SUCCESSFUL implementation of such technology in Victoria’s Latrobe Valley last August, the first of 50 new hybrid-diesel buses for Melbourne’s bus network will enter the CDC Victoria fleet and take its first passengers next week, according to the State Government. All 50 new hybrid buses are to be in service on CDC routes in Wyndham, Oakleigh and Sunshine by 2022, it's claimed. 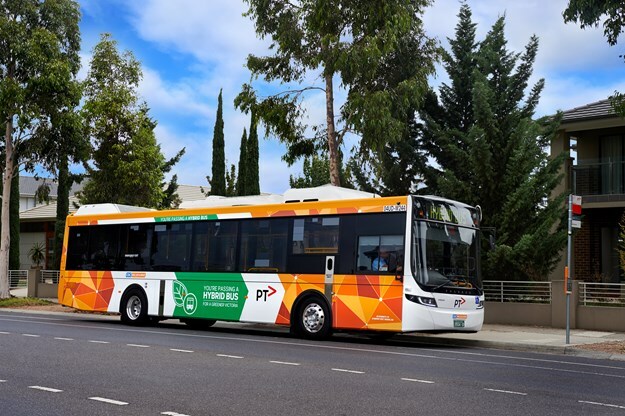 The new Volvo-Volgren-built buses will be progressively rolled out during the next three years and will operate across bus routes in Wyndham, Oakleigh and Sunshine, Victoria. The buses will reduce fuel consumption and the impact on the environment, while improving passenger experience by delivering a quieter and smoother ride, the government states. 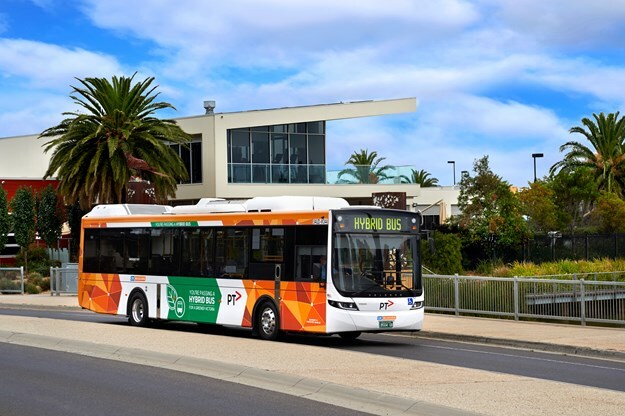 The first bus will enter service on Route 606 (Elsternwick to Fishermen’s Bend) and 417 (Laverton to Laverton North) next week. The Labor Government’s order for 50 new hybrid buses into the CDC Victoria - a subsidiary of ComfortDelGro - bus fleet is the single biggest order of hybrid buses in Australia, it confirms. 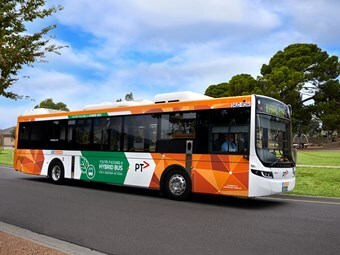 The body construction and fitout for the new buses is being done in Dandenong by Volgren, "…supporting Victorian jobs and backing the local automotive industry to develop new capability and innovation," the government says. All 50 buses will feature low-floor layouts, Volvo’s Parallel Hybrid driveline and are Euro 6 emission standard – the highest and cleanest level for commercial vehicles worldwide at present. Hybrid technology uses the electric battery when idling and travelling under 20km/h. The bus noise is significantly reduced when idling at stops and departing from stops, while trials in Victoria found hybrid buses used 30 per cent less fuel, the government cites. 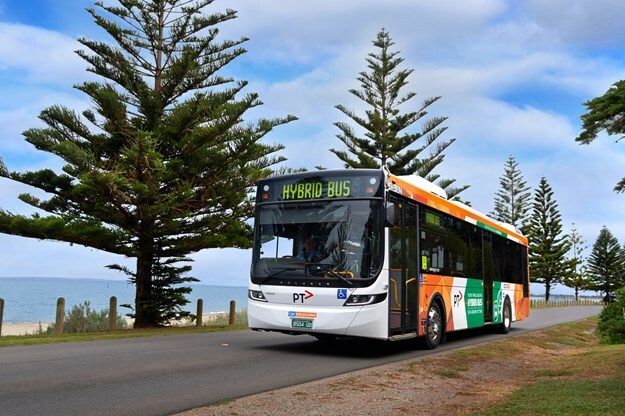 Thirty hybrid buses will be phased in during the next 12 months, with all 50 buses to be in service on CDC routes in Wyndham, Oakleigh and Sunshine by 2022, it confirms. 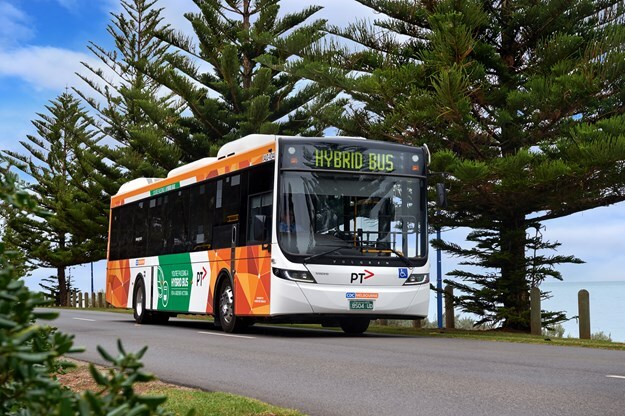 Minister for Public Transport Melissa Horne said: "We’re securing local jobs and supporting the environment with Australia’s largest single order of hybrid buses." "This is part of the biggest order of new trains, trams and buses this state has ever seen, which are being built right here in Victoria." "We’re modernising, expanding and upgrading Melbourne’s bus fleet, improving the passenger experience, delivering local jobs and reducing the impact on the environment." CEO of CDC Victoria Nicholas Yap says his team is proud of the modernisation of CDC’s bus fleet in Victoria. "Our new fleet of hybrid buses is an exciting development which demonstrates our ongoing commitment to delivering transport innovation by reducing both the emissions and fuel consumption of our fleet." "As a business, we’re deeply committed to helping shape a better future for the next generation through reducing our carbon footprint," said Yap. General manager Volvo Bus Australia Lauren Downs says Volvo Buses and its partner in Victoria, CMV, are extremely excited about the momentous order from CDC Victoria. "Having a fleet of fifty Volvo hybrid buses on the roads of Melbourne is a gamer-changer for the industry, and is a testament to CDC’s vision for environmentally friendly and attractive transport for its passengers and the city of Melbourne. Seeing the first vehicles on the road this week is an exciting milestone for the project that we are very proud to be part of." "The Euro 6 Volvo hybrid has been proven to deliver more than 30 per cent savings in fuel and climate-impacting carbon dioxide emissions, and cut harmful nitrogen oxides and particulates by as much as half compared to diesel buses – and this is without the need of any additional infrastructure," explained Downs. "At Volvo we truly see hybrid buses as not just a stepping stone towards full electric vehicles, but an integral parts of sustainable public transport for the future, especially on routes in Australia that require a long range, carry high loads and have a need for air conditioning. "On behalf of Volvo, I would like to thank CDC Victoria, Volgren, PTV and all stakeholders involved in making this a successful project bringing the latest technology and sustainable public transport solutions to the streets of Melbourne, and hopefully beyond in the near future." Jim Jones commercial manager for Volgren said it was an absolute privilege to partner with CDC Victoria and Volvo Bus Australia on what will be the largest Euro 6 hybrid fleet in the country. "From day one of this order being announced we’ve collaborated closely with Volvo and CDC Victoria to help design the best possible low-floor hybrid bus. They've not only put their trust in our technological capabilities, but in our ability to handle large-scale orders." "At Volgren, we believe this is a pivotal moment for the Australian bus industry. The hybrid chassis themselves are important, but it’s the size of the order that really begins to normalise the technology and that will make it easier for others - in Victoria, and around the country - to follow. And when they do, the environment and the community will benefit even further." Jones says Volgren has always specialised in designing, developing and applying new technologies for the Australian market. "We pride ourselves in providing engineering solutions that meet the developing needs of our customers, and we’re ready to take on the challenge of developing the best bus body for the Euro 6 hybrid."